FastMed Urgent Care clinics are your answer to receive urgent health care in Arizona or North Carolina. To find us, just put in your zip code and select the location nearest to you. FastMed Urgent Care locations are open 365 days a year, including holidays. We also operate on extended hours, which means you may be able to come in before or after work and school. You can save even more time by filling out your registration forms before you come in. You can use ZipPass to check in at your location to let our staff know when you plan to see us. When you think of “urgent health care,” it may seem to have the same meaning as “emergency care.” Urgent health care is actually related to the availability of care than to the degree of severity. FastMed Urgent Care clinics follow a family physician model. 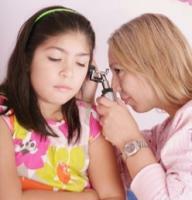 We treat common illnesses like strep throat or ear infections. We stitch cuts, take x-rays, conduct blood tests, give flu shots, and vaccinate your kids. We can treat sprains, bad backs, and even cast minor breaks. We can accomplish many things in our office, but if you need to see a specialist, we will make the referral, set up the appointment, and transfer your records.